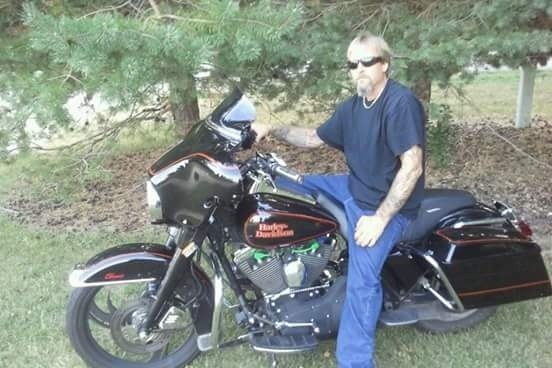 On June 27th 2018 the Manteufel family experienced a medical emergency when Greg started feeling ill, within hours of the onset of symptoms, Greg's body started to go into septic shock. Once Greg was admitted to the hospital, they were able to confirm the reason Greg was septic. He had somehow contracted the bacteria Capnocytophaga Canimorsus. This bacteria caused the sepsis in Greg's body that has completely changed not only Greg's life but his entire family's as well. Within days of being admitted to the hospital while still fighting for his life, Greg first lost both feet, after a second surgery to remove more damage on legs, they amputated thru both Knee caps. Surgery is scheduled to remove a portion of both hands as the damage from the sepsis is to extensive. Furthermore all areas of Greg's body and tissue was affected by the bacteria and the sepsis, the Drs say his nose will need extensive repairs, which means he will need plastic surgery to rebuild a new healthy nose. Greg is going to need several more surgeries, lots of healing time and his family by his side to get thru this life changing event. During this process while his family and friends are in panic and chaos Greg has held his head high and is taking all the news like a beast. He is so thankful to be alive today and is taking one day at a time. Any help you can give the family will be greatly appreciated. Greg's recovery will be a very long process and he will need his family by his side, they will need help financially to be able to be with him during the coming months with surgeries as well as waiting to be fitted for leg and hand prosthesis which will allow him to become independent again. The whole family is beyond greatful for the outpouring of support from all over the world. We could have never imagined how many wonderful people there are out there giving their support to us in so many ways. From far and wide we have read your messages of well wishes, received your donations and felt your love. We can not say thank you enough. We want to also give a huge thank you to all the local news stations for the coverage who brought this story across the country and then world wide, to all the online publications and Facebook shares that helped get Gregs family the help they so desperately need. We all thank you from the bottom of our hearts. Greg has been working hard with his daily therapies pushing himself beyond what you or I would believe possiable, to ensure himself that he is as healthy as he can be to push himself through this life changing tragedy. He is determined to get back out there doing what he has always done in the past. If you know Greg you know that he can't stay in one spot for to long, he is always on the go. He is determined to push through it all and continue to be that same person. Greg will still need a few more surgeries in the next few weeks for his nose and upper lip. They offered him any nose he wanted, we laughed at the prospect of Brad Pitt or George Clooney, but in the end, everyone voted for Greg Manteufel nose. Most days Gregs pain is managed well enough he can push through the day but there are days that the pain he feels is breathtaking and unbearable. In the coming months Greg will be going home, or for now he will be going home to his parents house. He and his family will need to sell their current two story home and find a home that will allow Greg to have better access to the daily basics he needs to recover and to ease the burden of the changes he will endure while having to learn how to live without both his hands and legs as well as at the same time learn how to use prosthetic arms and legs in place of what he has lost, the thought of that alone is unimaginable. This will be a very long recovery process for Greg, there will be several months of allowing all of his limbs to heal before the prosthetic limbs can be fitted and several more months learning how to adapt to his new body parts. The time line for his recovery is quite unsure still, however everyday he works harder and gets closer to the end goal. Again we can not say thank you enough for all of your support, for the many people out there who have shared their stories like Gregs we thank you for showing him he is not alone in this. For the many other amputees that have reached out, thank you for showing him he can do anything he puts his mind to. Thank you to all of you. 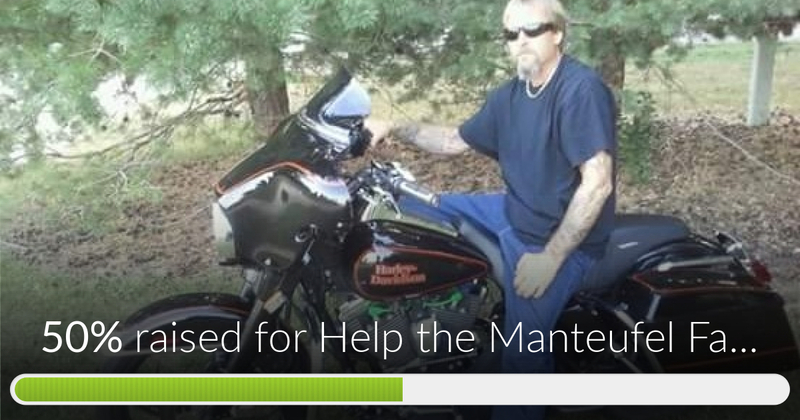 Help the Manteufel Family has reached 50% of its goal. Thanks to Everyone who has helped or Family please keep sharing this story! We are humbled by the kindness and generosity! Thank you Again and Again!!! The Manteufel family would like to extend their gratitude to you all for your love, support and generosity. G is blown away by your support for his family!! During the past week Greg had 2 surgeries on both of his arms, the first surgery removed all of the fingers down to mid palm. The surgery team was hoping the rest of the damage to the remainder of his hands and the lower arms would be minimal, however after surgery today they had to further amputate to mid-forearm on both arms due to the extensive damage to the tissue and muscles. In the coming weeks and months there will be several more surgeries to monitor and treat the affected areas to his body. Greg is truly a fighter in this. He is amazing his Doctors, Nurses, Rehab team, family, friends and everyone who sees how hard he works each day to get himself stronger, learning to do the things we all take for granted in such ways most could not imagine. Greg pushes himself everyday to do as much as he can to further his recovery. All of your support has been a true inspiration to Greg, his wife, son and entire family. I myself can not thank you enough! So Thank You Again and Again! And please feel free to share his story!